Air Power's Three Function Inflator is a reliable 12 volt travel inflator for daily commuters and vacationers on the road. Small enough to pack in the car or boat, powerful enough to answer emergency needs. 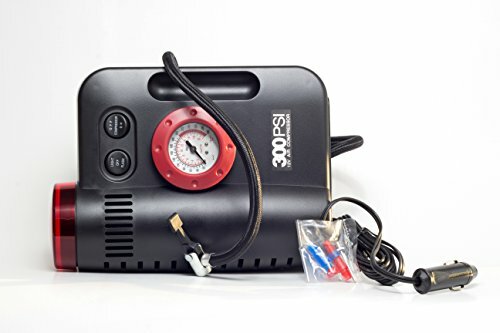 Great for home, auto and shop, inflator is equipped with 2 nozzle adapters, sports needle and 10 feet plug-in cord, air hose has a 30 inches reach.